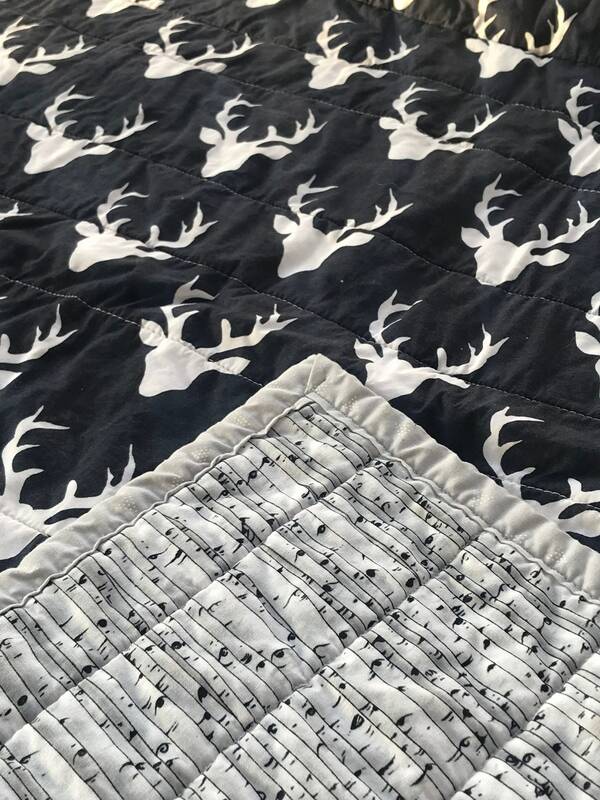 This whole cloth quilt is made with a navy blue print with white deer silhouettes on one side. 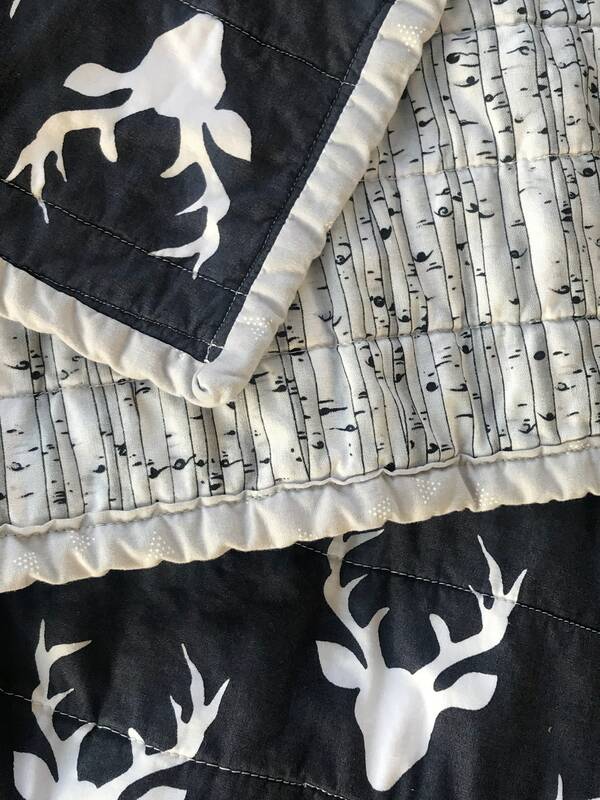 The back of the quilt is a gray/black/white birch bark pattern. 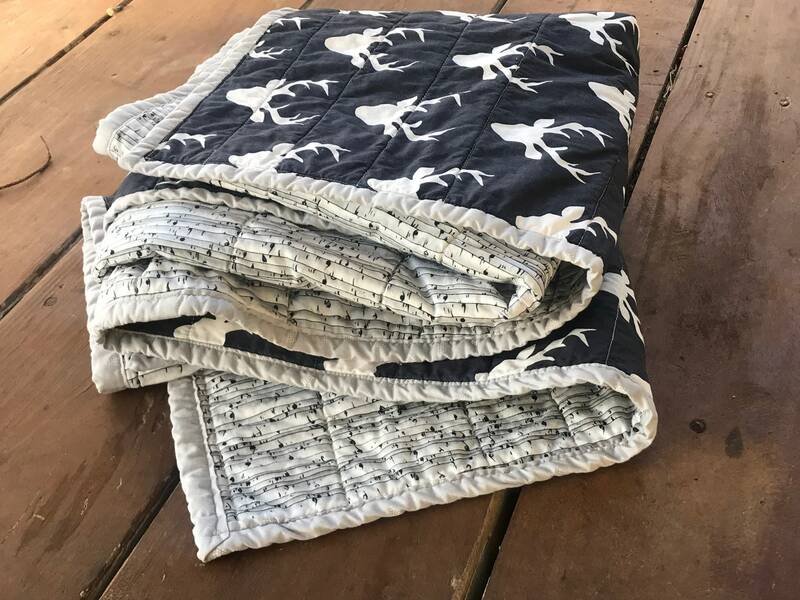 The binding on the outside of the quilt is a light gray small triangle print. 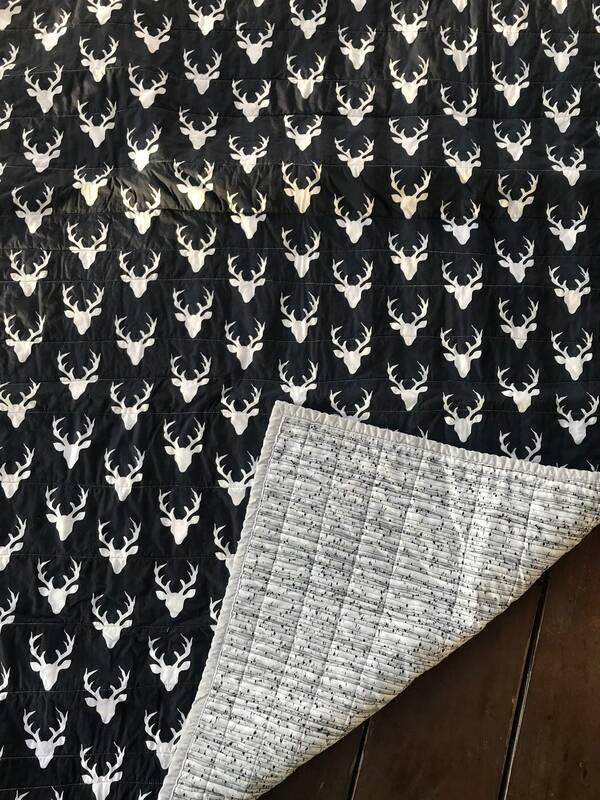 This quilt is made to order in baby/lap, throw, and twin sizes.